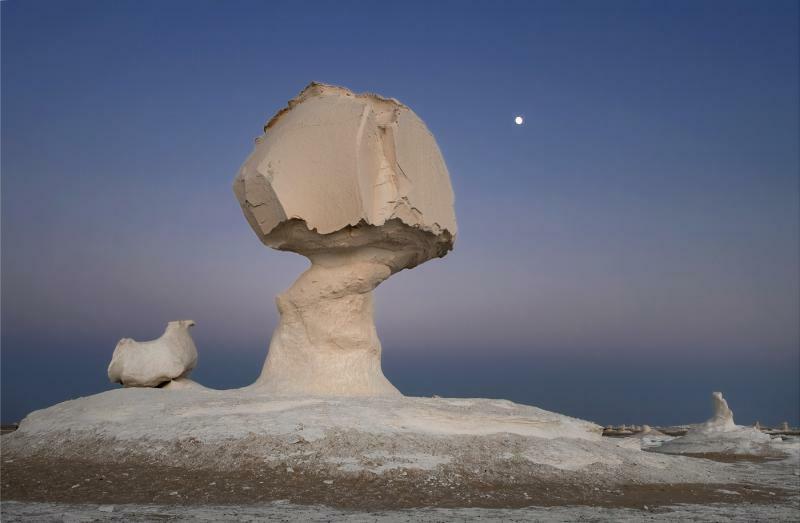 Wind and erosion can do a lot of work during the years. 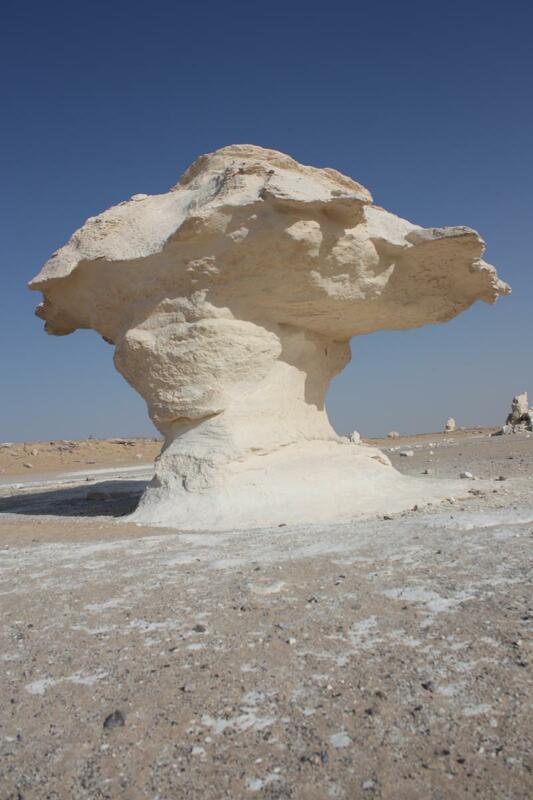 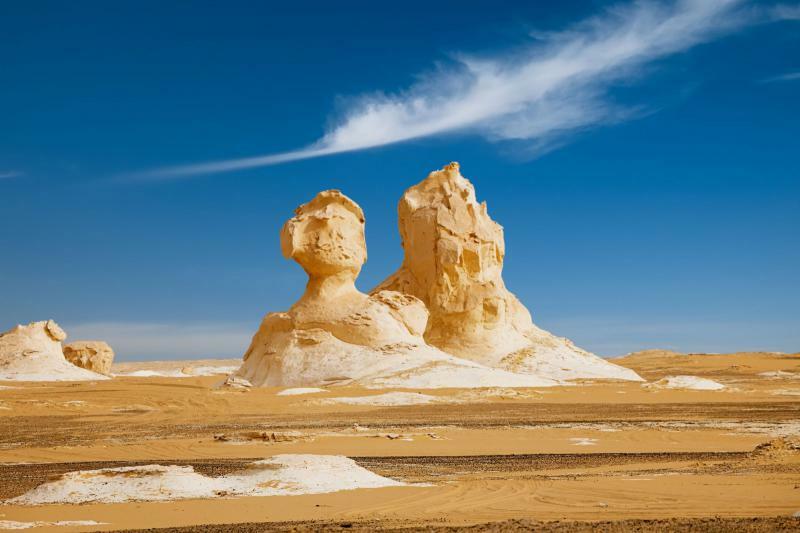 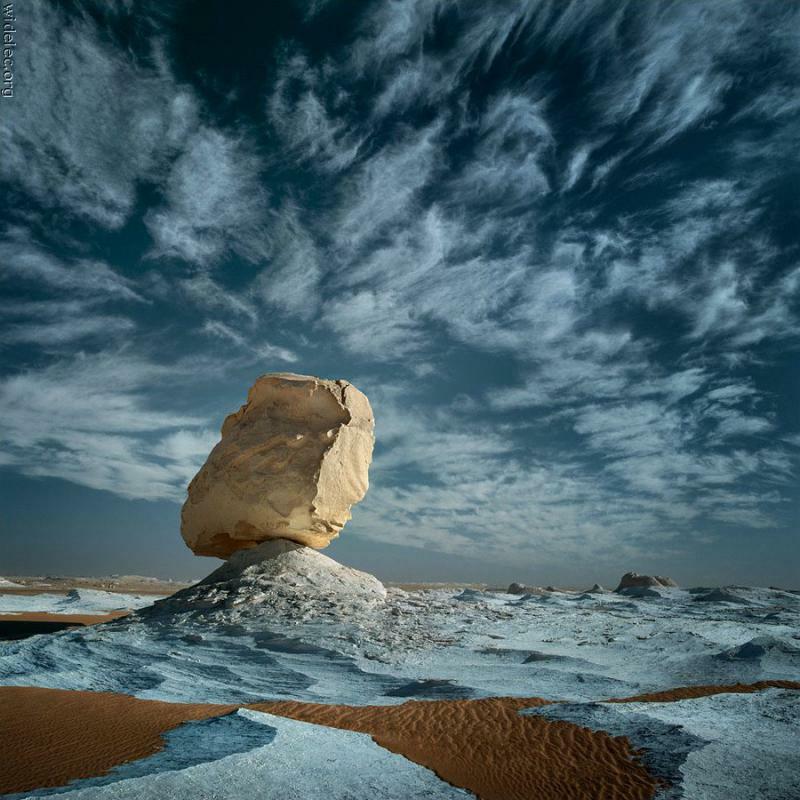 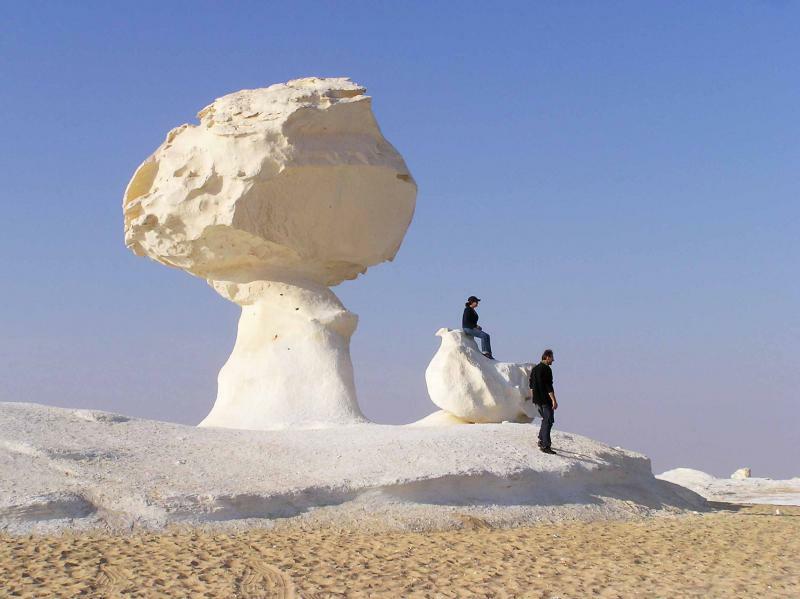 And so the White Desert was formed, a place with numerous calcium rock formations, which are not only white but also shaped into peculiar forms. 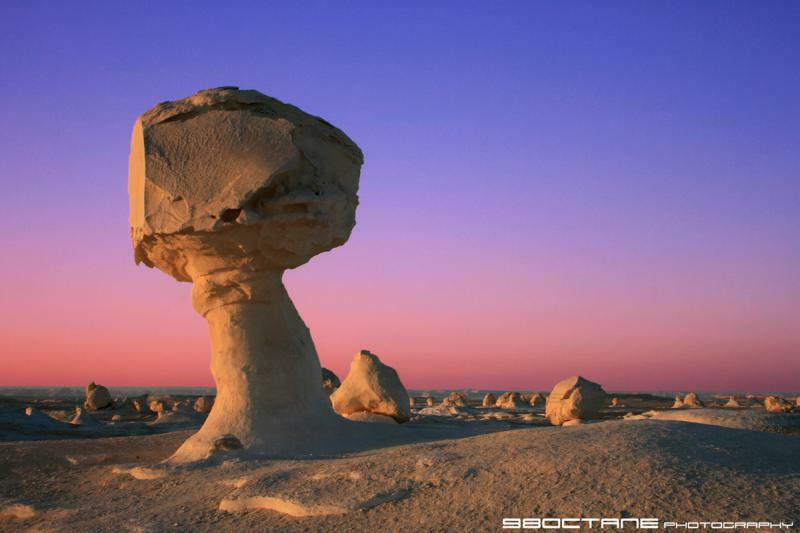 They are given various names, mostly food. 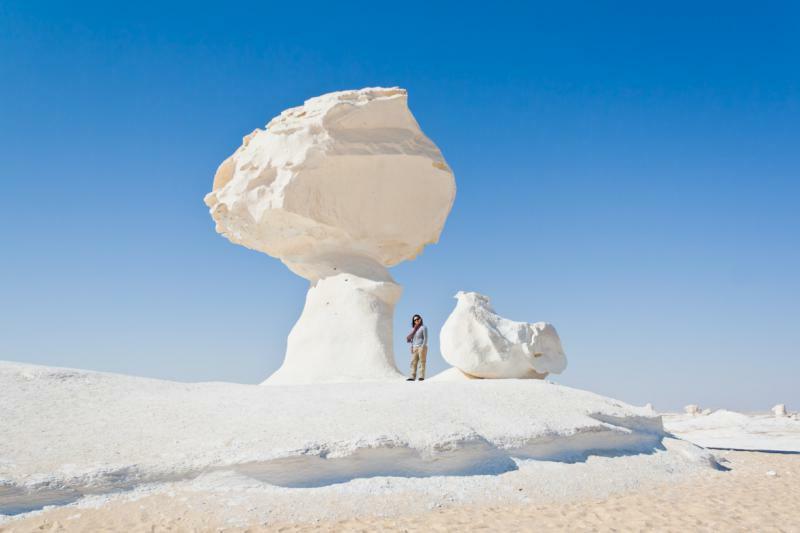 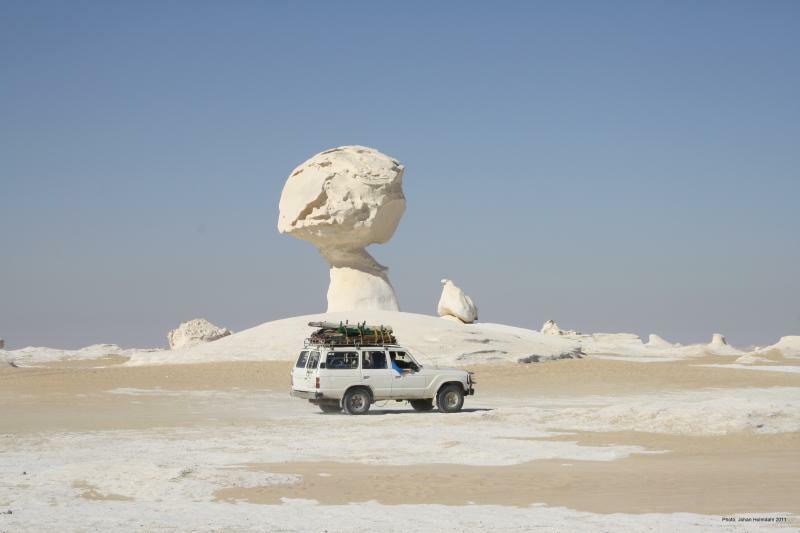 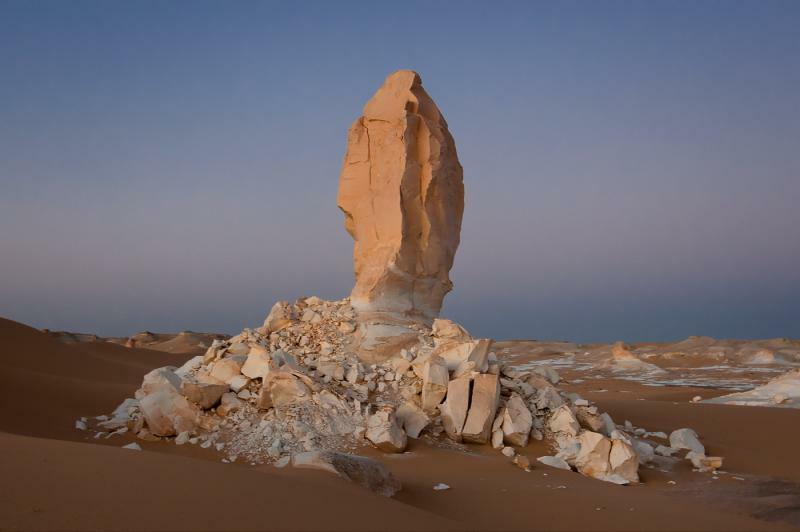 The White Desert is perhaps the most sought out desert attraction in Egypt, especially for an overnight trip. 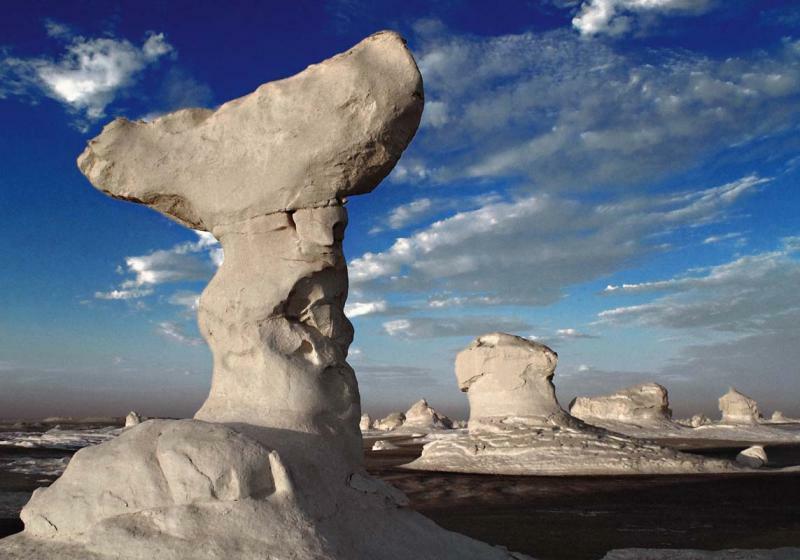 Watching the setting sun playing with the white rock formations is a memorable experience, which will leave you speechless. 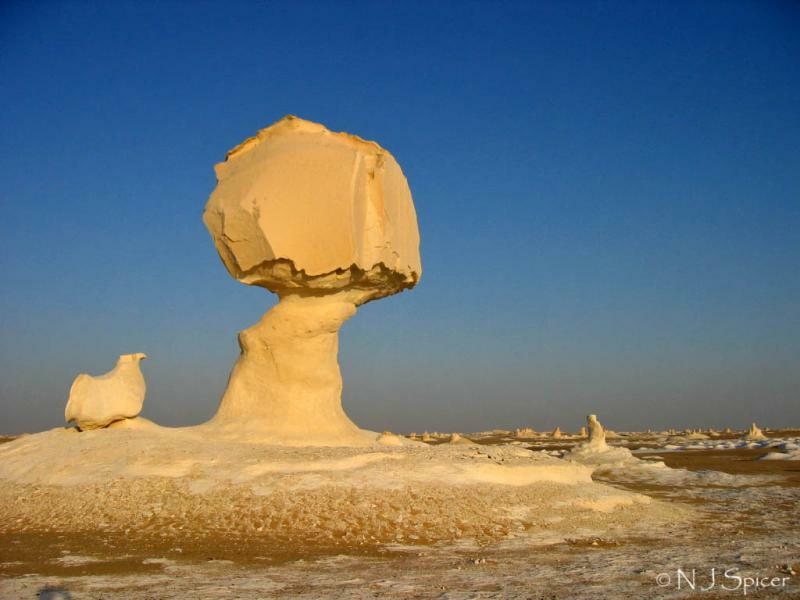 Pay special attention to the chicken rock formation, it is known to be the best.